We are officially registered with Amazon.com’s non-profit “Smile” support program. 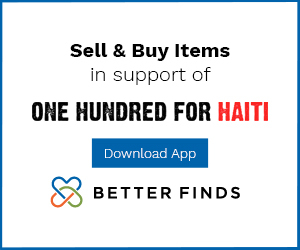 This means that if you use the following link for your shopping at Amazon (it is the same Amazon experience, just with a different starting link other than simply “amazon.com”) then a percentage of all of your purchases will benefit One Hundred For Haiti! Please share that link with your friends who use Amazon! First water tank built in the village of Haute Pont! Our Rural Water Project campaign to save 15,000 lives from cholera is underway and already making an impact. This photo, just in from the tiny rural village of Haute Pont shows the first completed water tank. This tank catches water from a local natural spring, and once filled to the top is treated to kill deadly cholera bacteria. The man drinking from the tank is doing so knowing that the water, for the first time in years, is absolutely safe to drink. We are working with local people to build the tanks under the guidelines established by those local people along with our friends from Peacework Medical (an outstanding all-volunteer medical initiative with extensive knowledge about cholera and how to prevent it). 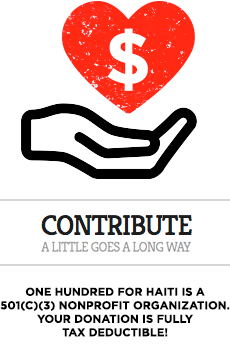 One Hundred For Haiti provide the funds, and local Haitians do the work on behalf of their own communities. They know how to build the tanks and more importantly how to FIX the tanks themselves. 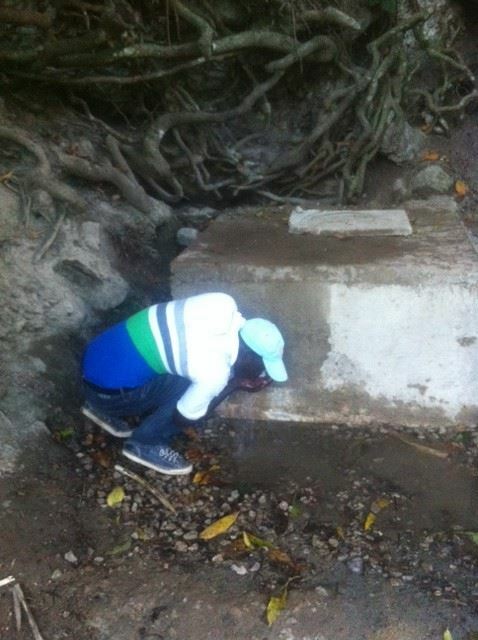 In the last few years we have seen so many overpriced water projects in Haiti that are ineffectively managed on the local level: these are projects which get built, often at extremely inflated cost to donors, and then if they break they can’t be fixed by local people. The Rural Water Project is entirely different. Our project is inexpensive, highly effective, and easily managed on the local level. This empowers people, and that is of value at the highest level.